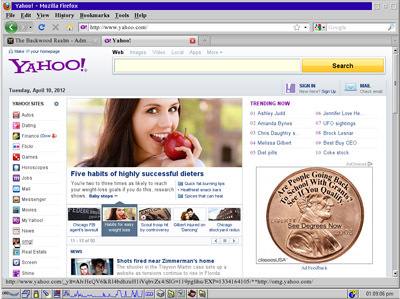 Modern Firefox on IBM OS/2 Warp? Home Operating Systems IBM OS/2 & eComStation Modern Firefox on IBM OS/2 Warp? In a random weird moment, I ended up recently finding an IBM OS/2 Warp 4 Virtualbox disk image, complete with working TCP/IP networking and the like, and patched as current as possible with IBM "Fixpacks" and whatnot. 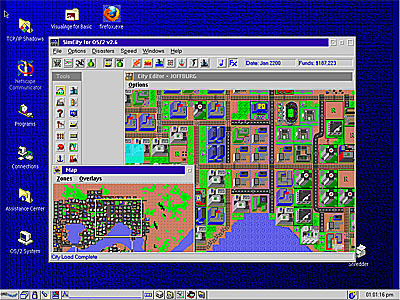 OS/2 was an operating system initially released in 1987 in the second-generation x86 line of PCs from IBM, the IBM Personal System/2, or PS/2, line of computers. Microsoft and IBM co-developed it initially, until Microsoft saw success with Microsoft Windows 3.0 in 1990, and they began to develop their own server/client operating system that borrowed from elements of OS/2, which became Windows NT 3.1. Essentially, OS/2 is a direct ancestor of Windows 7 and Windows Server 2008, and going forward will continue to be at this writing. Once upon a time, circa 1996 or 1997, I had ended up with the install media for OS/2 2.0, and later, OS/2 Warp 3. I installed both at least once on my family's IBM Aptiva, completely destroying installs of Windows 95 in the process both times. I would play with it for a bit, and then I would reinstall Windows. You know, back when I was a carefree teenager with nothing better to do than install operating systems. It is not like the ladies were chasing me down or anything...they were actually running away for the most part. Anyway, I had first seen OS/2 referenced on a local BBS in my hometown, and I did eventually figure out, by talking with friends, just exactly what it was. (This was before you could easily do research on the internet, naturally.) At least one friend had it on his home computer and preferred it to Windows 95. I got to looking around, and I noticed that there was a screenshot of Firefox 3.5.4 running on OS/2. Also included was a weblink for this particular distribution. My curiosity got the best of me, and I fired up Virtualbox and followed the link on wikipedia that had been posted as to where to locate an OS/2 Warp 4 Build of Firefox. This entire article was editied and posted from OS/2 Warp 4. I bet that doesn't happen very often today. As OS/2 just turned 25 years old, this article is dedicated to 25 years of innovation in general, from IBM and others, that have brought us to where we are today. OS/2 is just another stepping stone of innovation and development that took us a few steps further along the way.